J.C. Penney reps announced this week that the Southdale location will begin its closing sale June 19 and continue through mid-August. Rather than hanging their heads after the loss of a major anchor, Southdale officials had good news too. Life Time athletic clubs will replace the Penney's spot after the old building is demolished. 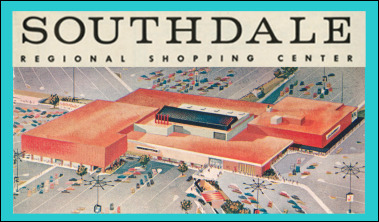 If the closing of J.C. Penney, an anchor since 1972, brings forth a wave of nostalgia for the glory days of retail and department stores, check out "Southdale: The Creation of a Cultural Landmark" at the Edina Historical Society through Aug. 31. It celebrates the mall's 60th anniversary last year. The exhibit is filled with photos of the grand opening and retailers gone bye bye. Among the original 72 tenants in 1956: Dayton's, Donaldson's, Woolworth's, Red Owl, Juster Bros., Marshall-Wells Hardware, Minneapolis Gas Co., Jackson Graves, Schlampp Furs, Egevist Bake Shop, Bringgold Meat Co. and Ralph's Shoe Service. Admission is free at the Edina Historical Society, although a $3 donation is appreciated. Hours are limited: 11 a.m. to 1 p.m. Tuesdays, 10 a.m. to noon Saturdays, and 5-8 p.m. on the third Thursday of the month (June 15). It's located at 4711 W. 70 St., Edina, 612-928-4577.